Holidaymakers may find all kinds of entertainment and things to do in Costa Teguise. The infrastructure of Costa Teguise is quite beautiful and has beautiful sights with artificial greenness, streets, and lamps with apartments, golf course, water park, marina, shops, restaurants, and nightclubs. As for beaches in Costa Teguise; beautiful beaches in Costa Teguise include; Las Cucharas, Playa Bastian, El Charco and Los Topes. 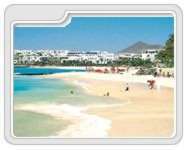 Las Cucharas beach is also one of the most popular and largest beaches in Lanzarote. 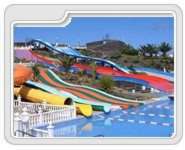 The Aquapark Costa Teguise is the best waterpark of the island and located in Costa Teguise. One of the best places to visit in Costa Teguise with kids and spend a great day out. 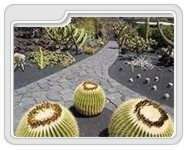 The Cactus Garden is a popular place for leisure activities and is located on the outskirts of Guatiza, on the north of Costa Teguise.